I've got to be honest, I put Mingus down on this list, but then I realised I'd never heard it. I'd kinda been dancing around that record for a while, partly because I knew that she was writing the libretto for Mingus compositions and I couldn't quite picture how that would work. Also it's kind of an end of the road record for her - after Mingus she took a break and regrouped herself and never came back with the same intensity. I listened to it for the first time in my hotel room in Madrid 36 hours ago and I was blown away, even though it sounded like a doomed record. It kind of reminded me of all the work that's left to be done with songwriting and singing. Like there's actual progress that could be made. Of course, progress is a moral word, but I feel like things are too constricted now. No one's really trying. There's so much room to move and no one moves. 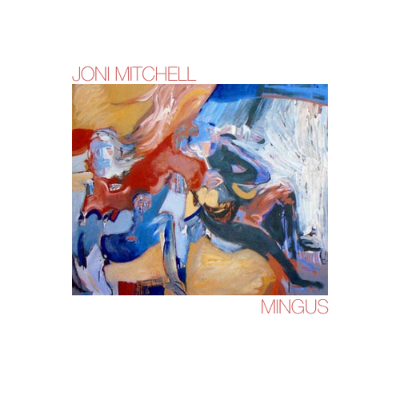 I'm not saying Mingus is a successful record, but it's so far-reaching in a way that you don't come across these days, especially from people who have had records in the top ten and then have decided to go for it and pursue the light.